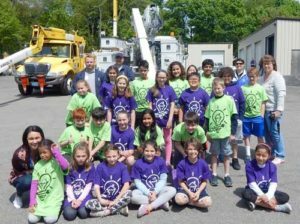 Shrewsbury – As the school year approaches its home stretch, a visit to the Shrewsbury Electric and Cable Operations (SELCO) garage is a “rite of passage” for Shrewsbury fourth-graders. 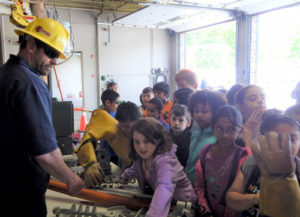 Students from all four of the public schools participated in the annual open house on May 18. Jackie Pratt, SELCO marketing and customer care manager, welcomed this year’s group to learn about conducting electricity, generating energy and how transformers work. They were also able to see a bucket truck up close. 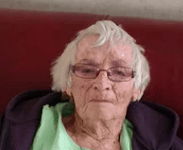 The event has taken place each year since the early 1990s. “It’s gotten larger and larger as class sizes have gotten larger and we keep adding new stations, so it’s pretty cool,” explained Pratt, who has been involved with the program for more than 15 years. 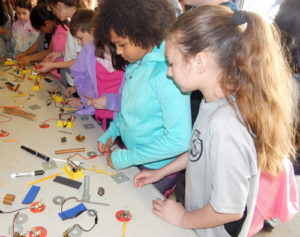 The open house also featured an electrical safety video, a demonstration of electrical transmission and distribution, and energy conservation information. Shrewsbury Media Connection was on hand with a pop-up studio complete with a green screen. This program is held to reinforce what the students are learning in their electricity units as part of their curriculum and in accordance with the Massachusetts Frameworks. 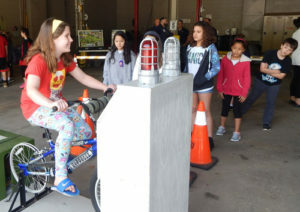 “Mainly we are trying to assist with their overall knowledge as it pertains to what they are learning in school about electricity…but the safety portion is really, really key,” Pratt stated.